After watching Intervention Canada, we want to consider what addiction looks like from the inside. 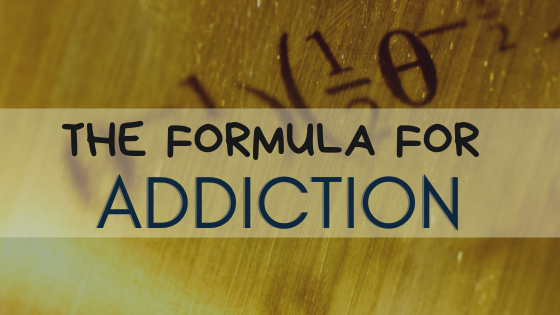 Why can’t an addicted person just simply stop using? I am honoured to be part of the incredible team of compassionate, knowledgeable and skilled people who work at Top of the World Ranch Treatment Centre. In spring of 2019, Intervention Canada aired a program featuring a young woman addicted to drugs who agreed to treatment at Top of the World Ranch. Her story is one of many I have had the opportunity to learn from. 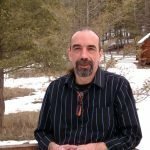 My own journey into the hell of addiction, the stories of my fellow warriors in the rooms of recovery and the tragedies I have heard as a counsellor have taught me a great deal about addiction. People who have experienced the cunning, baffling, powerful and patient nature of addiction will know EXACTLY what she is referring to. Obsession. Compulsion. Chaos. Many of us become so overwhelmed by the trap we are in, we are convinced the only way out is death. Given enough time in the obsession + compulsion formula of addiction, the result, (or =) involves missed work days, impaired charges, jail, divorce, psychiatric assessment, hospitalization, also known as unmanageable chaos. Those of us who have experienced this particular realm of hell are trapped in a vicious cycle; shame and guilt, lying to cover behaviours, hiding to remain secretive, total and complete self-hatred. We spiral downward and eventually stop trying to manage addiction, surrendering to our powerlessness over the drug. We stop caring about ourselves, our loved ones, our hopes and dreams. Eventually we ‘come to’ and see the mess we have created. Many of us become so overwhelmed by the trap we are in, we are convinced the only way out is death. That painful moment of awakening is what saved my life. I realized I had a choice. Keep drinking and die or seek recovery and live. The decision was 100% mine. It feels hopeless. It looks hopeless. Yet, miracles happen. Sometimes a form of intervention occurs. It might be a formal intervention, such as the one the woman in the program experienced, where family and friends hold a professional meeting and the boundaries are drawn. “Get help, or get out”. 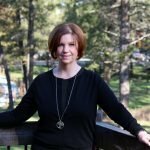 Other times, it is an employer, “go to treatment, or lose your job.” For me, it was a moment of sober realization – “I am going to die if I don’t find a way out.” That painful moment of awakening is what saved my life. I realized I had a choice. Keep drinking and die or seek recovery and live. The decision was 100% mine. That moment of awakening was 10 years ago. The journey to recovery hasn’t been easy; life has thrown some big crises at me, however I have come through sometimes emotionally bruised, but always sober and with a deeper level of recovery. 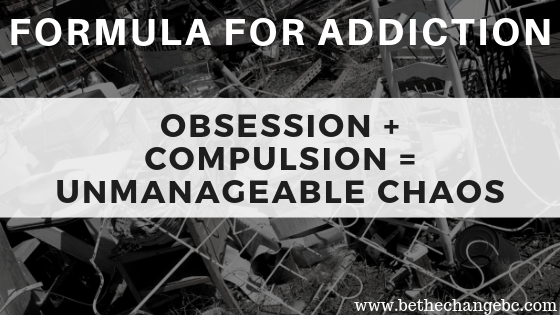 And just as 1 + 1 = 2 and obsession + compulsion = unmanageable chaos, I have come to realize there is an equally, if not MORE powerful formula for recovery. Fellowship + Purpose = Recovery. Fellowship comes in all forms, whether in treatment with others seeking recovery, the rooms of AA, NA, SMART recovery, She Recovers, Refuge Recovery, or in working with a counsellor to learn about addiction and recovery. Through fellowship comes non-judgement, compassion, understanding and support. We learn we are not bad people trying to be good, but people with a brain disorder learning to recover. Purpose is the realization we have reason to be. We can live purposeful lives with meaning and value and happiness. We become positive and productive members of society. Recovery allows for gratitude, hope, love, forgiveness, and the ability to help others who are suffering. Anytime I meet another who has found their way through the abyss of addiction, I am reminded – miracles do happen.